Nice job. The airport is looking spectacular. 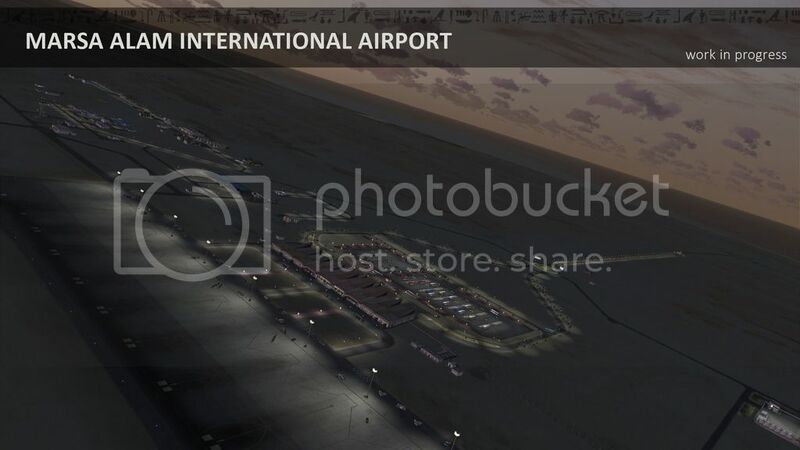 The airport now also has animated traffic at the apron! It's getting better and better!!! Any news on this amazing project? 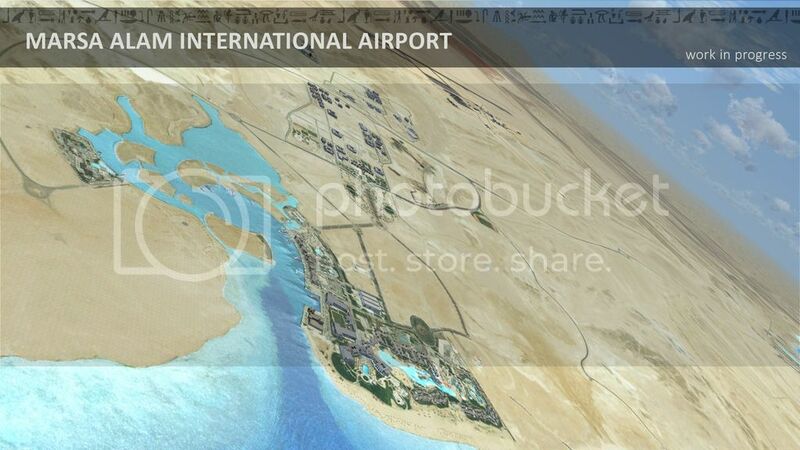 About 75% of the surrounding buildings and resorts of Port Ghalib are done now. It takes much more time than expected -unfortunately. But the project is really nearing its completion! Which brushes (name) you used for your runway skidmarks and what software to make it ? This is a "work in progress"??? AWESOME!!!! I can't wait to see images on the final project! Congratulations and keep the pace! Hopefully some new images can be shown shortly! Hey Jetman, thanks for the progress report. There are just a few resorts missing north of the airport. The airport itself is done. 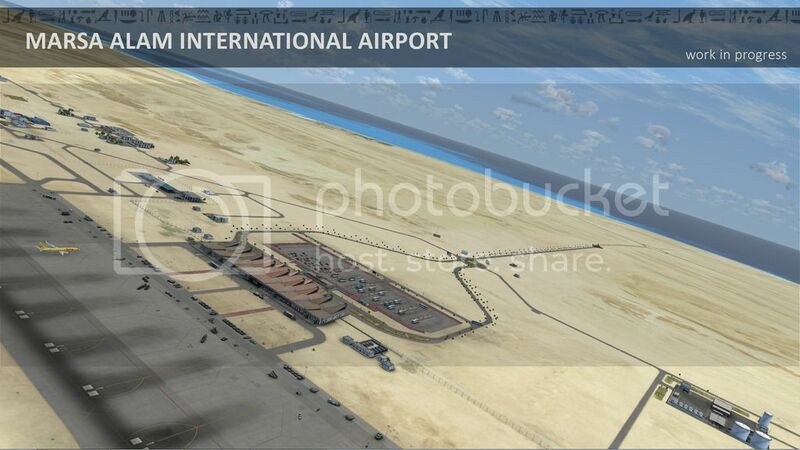 Including several bug fixes and many improvements along the entire airport. Hi jetman , so at this stage, Can we expect the release in a couple of week?